Raise money for a good cause and have a ball! 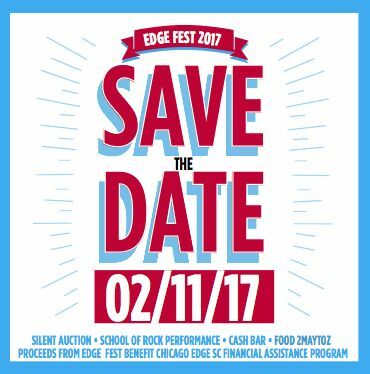 Proceeds benefit the Chicago Edge SC Financial Assistance Program! Can't attend but still want to show your support? 178 Forest Avenue in Oak Park on Saturday 2/11/17 from 4-6 PM.